I received a Ph.D. in chemistry from the University of Aveiro in 2000 and I am currently working in the Island Biodiversity, Biogeography and Conservation research group (IBBC) and subgroup Island Aquatic Ecology (IAE) of cE3c. I am a professor of chemistry at the University of Azores. My research focuses on characterization of secondary metabolites profile of aquatic and terrestrial Azorean species and their change over the environmental conditions and the life cycle. 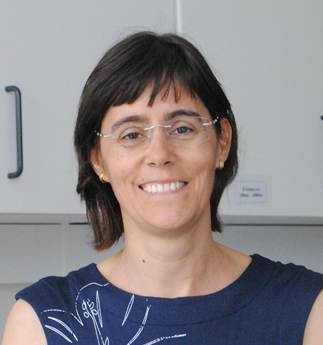 I currently collaborate with several overlapping research groups principally working on a range of chemistry of natural compounds and biological activity assessment as FCT Unit QOPNA (University of Aveiro) and Instituto Universitário de Bioorgânica “António Gonzalez” (University of La Laguna, Tenerife). My current research is driven by three overarching objectives: i) isolation and identification of biologically active secondary metabolites; ii) taxonomic differentiation of species and subspecies based on volatile metabolites analysis; iii) analysing changes in the metabolite profile caused by different life cycle and environmental stress.